“When you see it, you know that service and protection are always close at hand.” Convenience and women “saving steps” was a recurring theme throughout the sixties if the contents of my collection of vintage The American Home magazine is anything to go by – and grapefruits – an obsession with grapefruits. 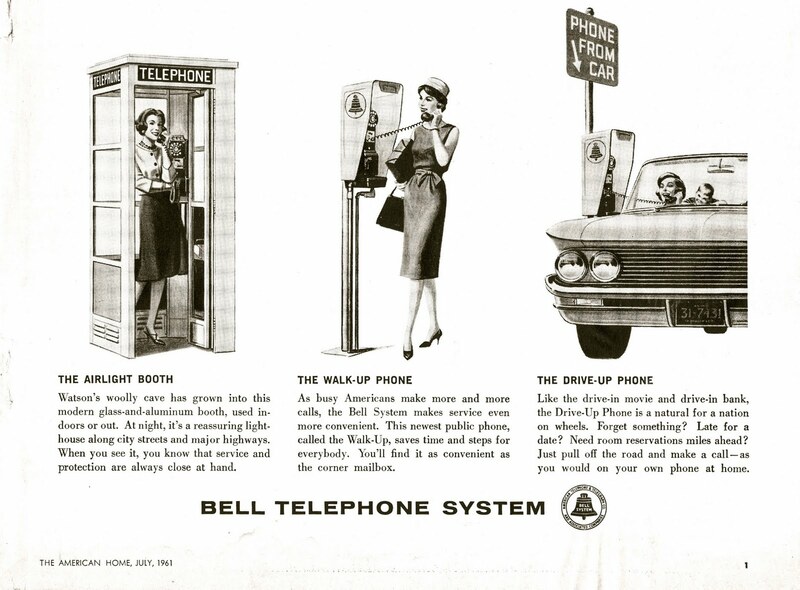 The 60’s was an era fixated on telecommunications and what appears to have been a very fashionable fruit. More to come on that in future posts.